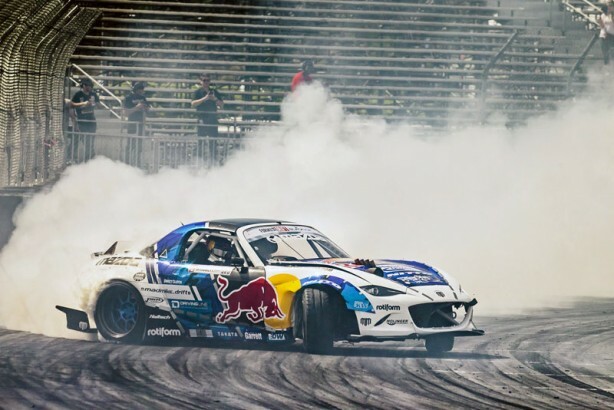 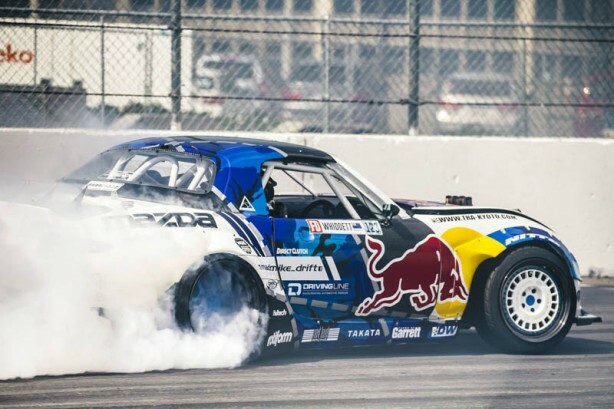 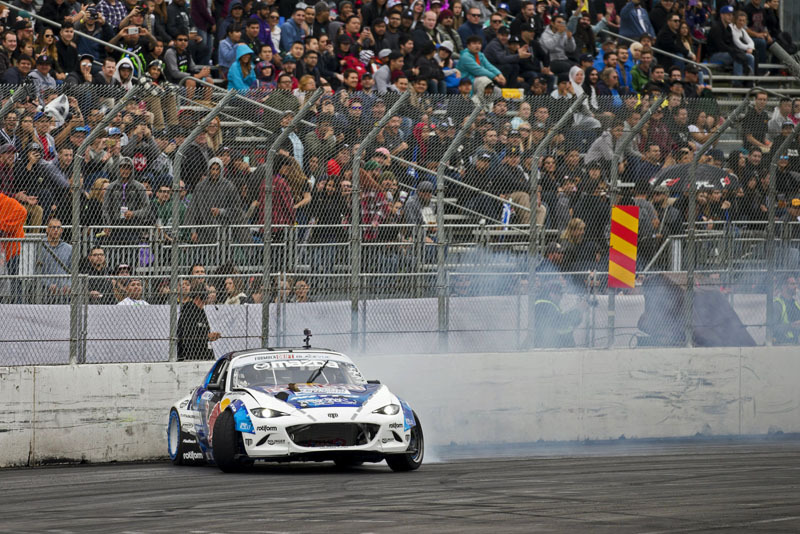 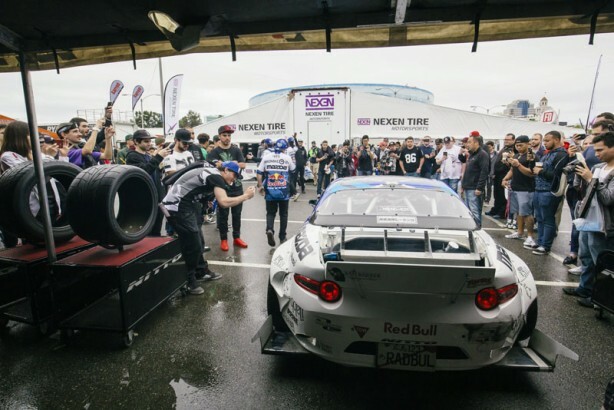 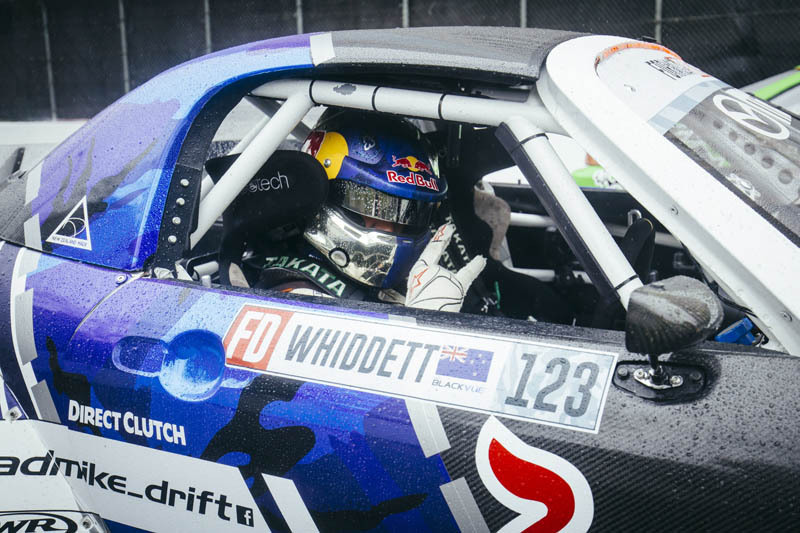 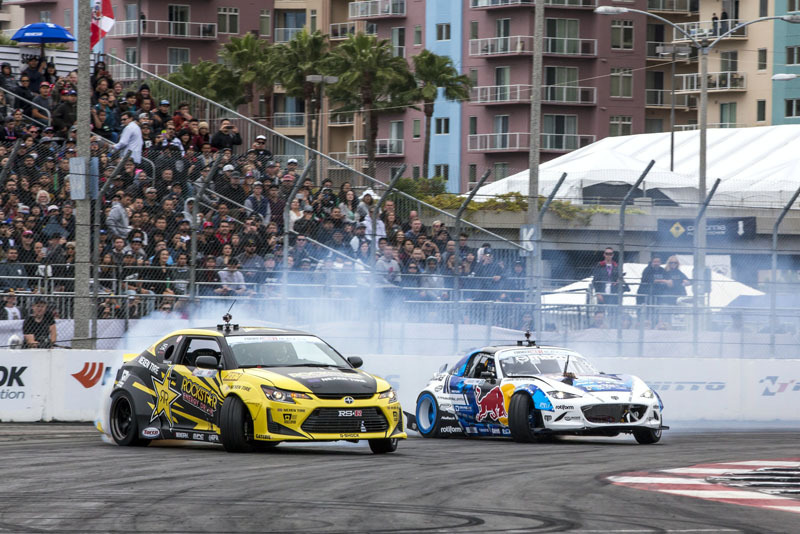 Mad Mike Whiddett came out swinging at the first round of the 2016 Formula Drift held at the Long Beach Grand Prix circuit. 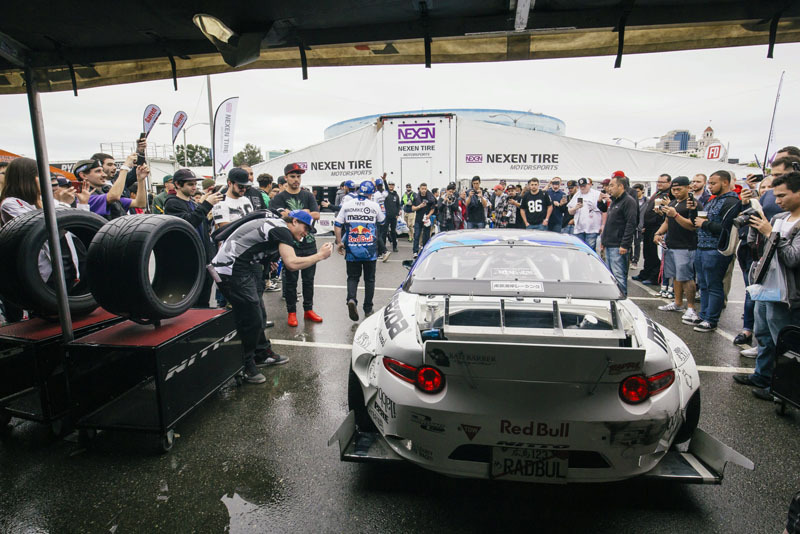 The practice/qualifying started off with treacherous rain, proving challenging for the drivers and difficult for teams to set up their cars. 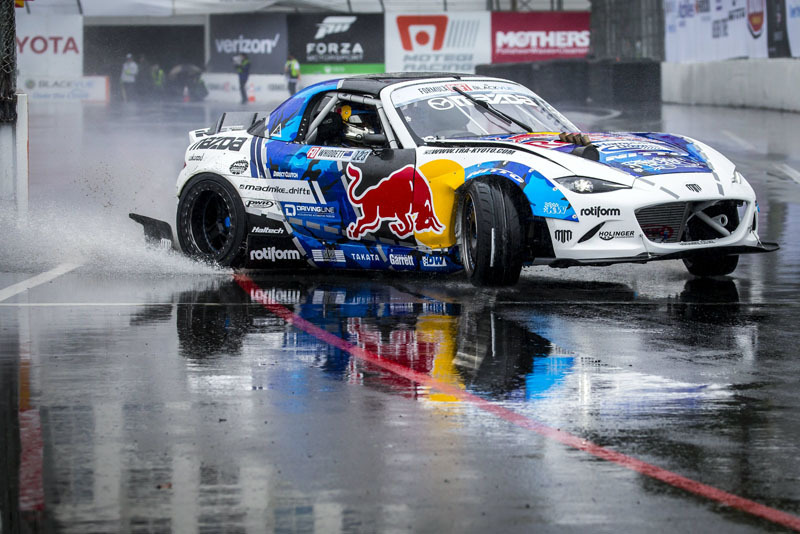 Due to the weather, the judges had no choice but to cancel the qualifying round and run off the drivers’ seeding from the 2015 champs. 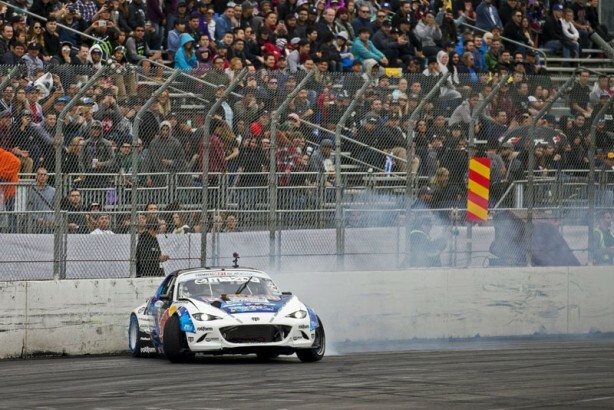 Once the sun came out all teams came out blazing with Mike taking centre stage in his RADBUL Generation 2 MX-5. In the Top 32 Mike battled against Pat Mordaunt and took an easy win into the top 16. Top 16 proved challenging with Mike getting paired up against the 2015 champion Fredric Aasbo. Mad Mike Whiddett’s RADBUL MX5 is controlled by a Haltech system complete with an IQ3 logger dash and SmartWire module.